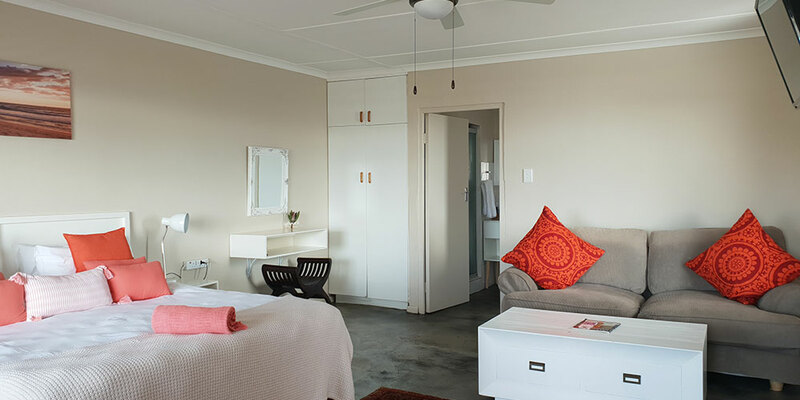 Our superior suites have private verandas for outside comfort, a separate lounge and en-suite bathrooms with either a shower or shower and bath. 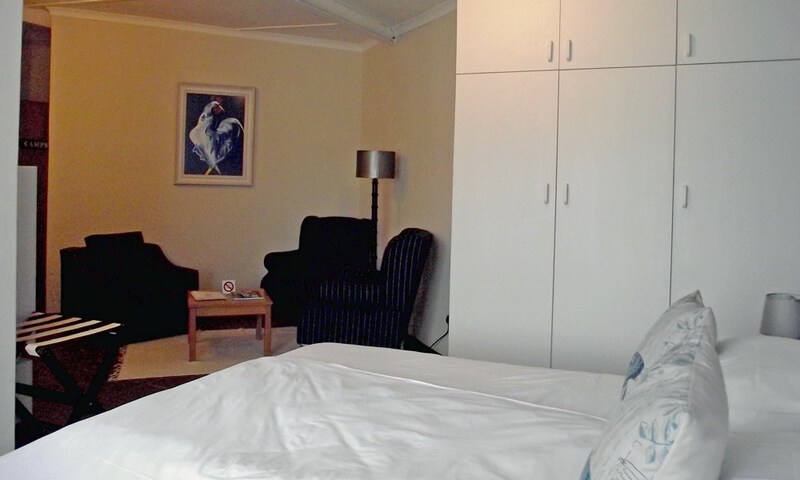 The standard rooms are of the same high standard with a smaller sitting area and missing the sea view. Please note that our rates are seasonal. Albatross is our honeymoon suite and is decorated simply earthy orange and taupe and Afrcan art finishes. The suite is upstairs with a spacious feel and awesome double bathroom including double shower heads. 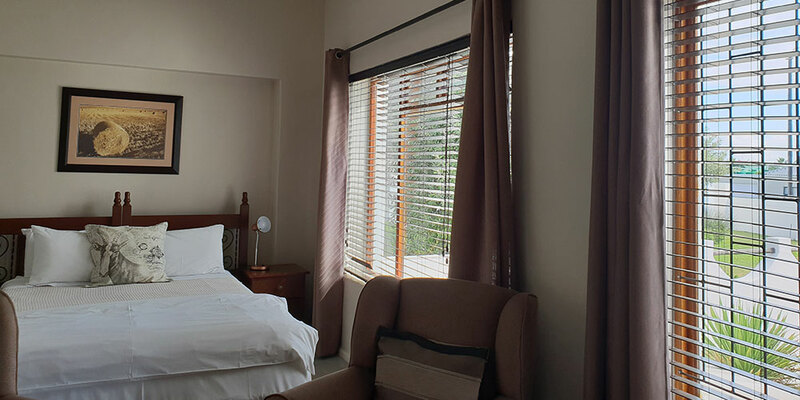 Spend the morning watching the sun rise over the Hottentot Hollands Mountains from the luxury of your private veranda, hot coffee in hand and the fresh breeze of the new day in your face. 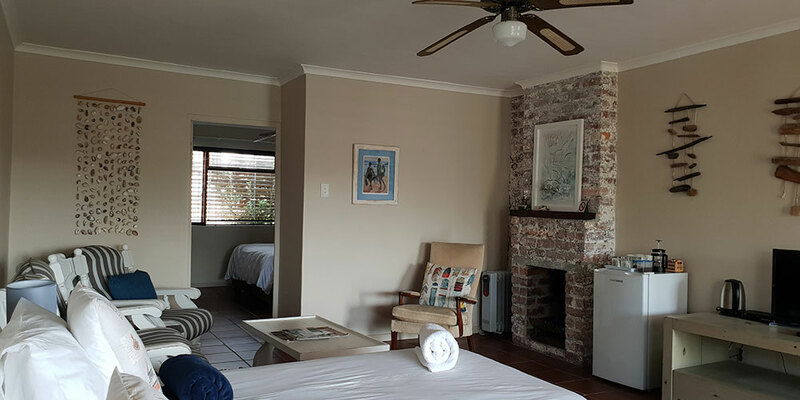 Beachcomber is one of 2 family suites at Saxon Lodge. 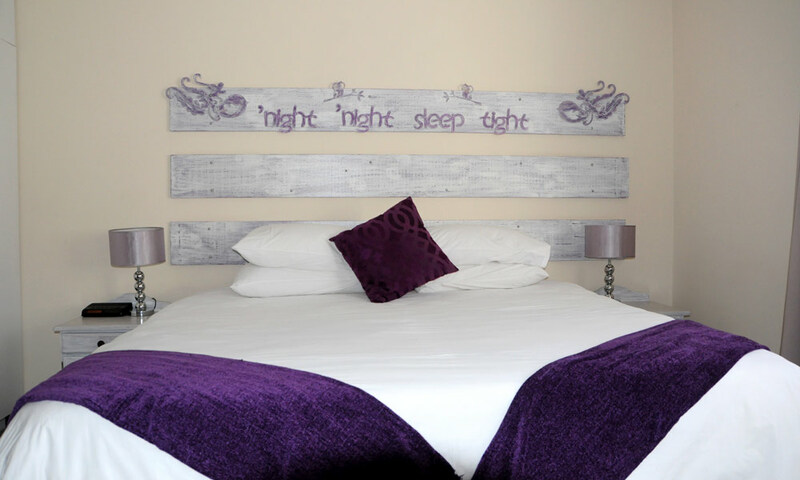 It consists of a double bedroom with en-suite shower and 2 single beds in a large lounge area. The room is decorated in cool blues which give it a gentle holiday atmosphere. The suite is also wheelchair friendly with ramps in and out and railings in the bathroom for easy access and use. The veranda is an ideal spot to catch up with the day and watch the sun go down over Walker Bay. 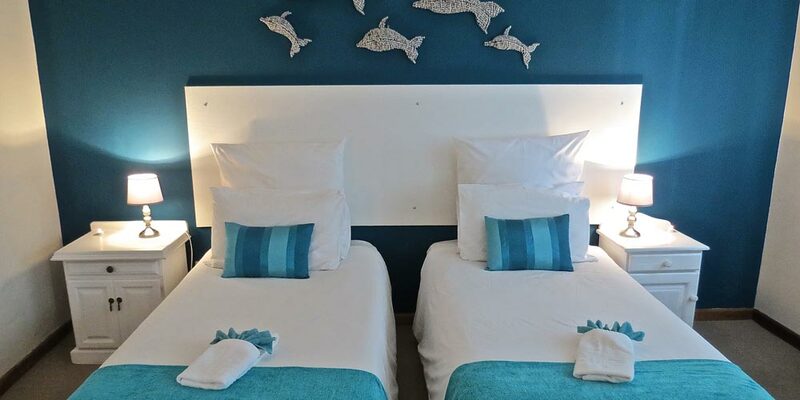 Dolphin is a 2 level suite with king size or twin beds and en-suite bathroom (bath & shower) upstairs and lounge downstairs. 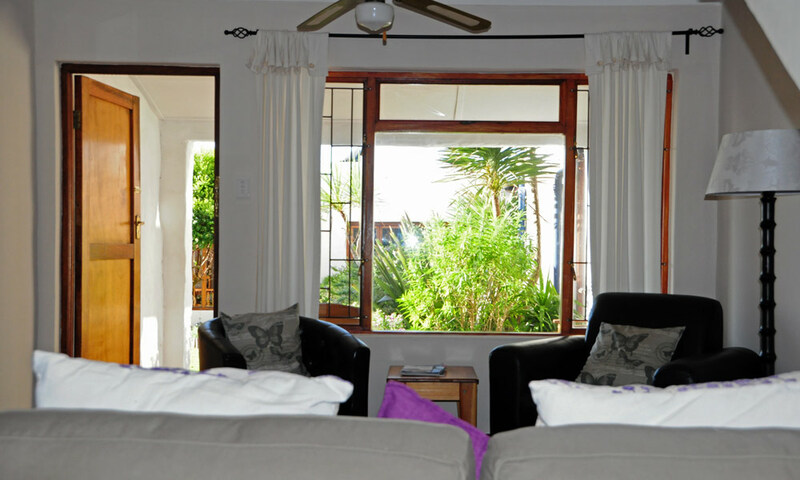 The room is sea facing with a view veranda off the lounge for a beautiful view across Walker Bay and the Hottentot Mountains. A great place to relax over sundowners after a day in the sun and sea. The veranda leads onto the garden and pool. Southern Cross is one of our most popular rooms. 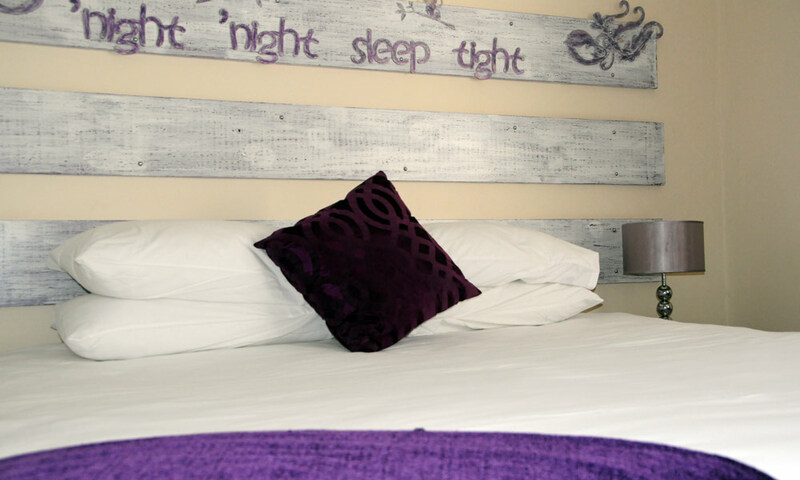 Accommodation on 2 levels with a king or twin en-suite bathroom upstairs and large lounge downstairs. Decorated in gentle mauves and purple, the room brings peace and quiet. A private veranda from the lounge makes a great place for relaxing as the day comes to a close with stunning views over the harbour and bay. Sunsets are amazing! Campbell is a standard king or twin room decorated in crisp blue and white. 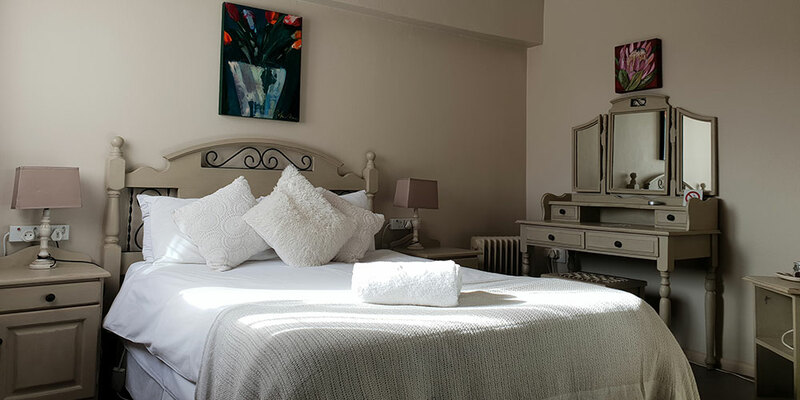 The room has a large en-suite shower and a separate lounge area to relax. Ideal for travelling companions. This room does not have any sea view. 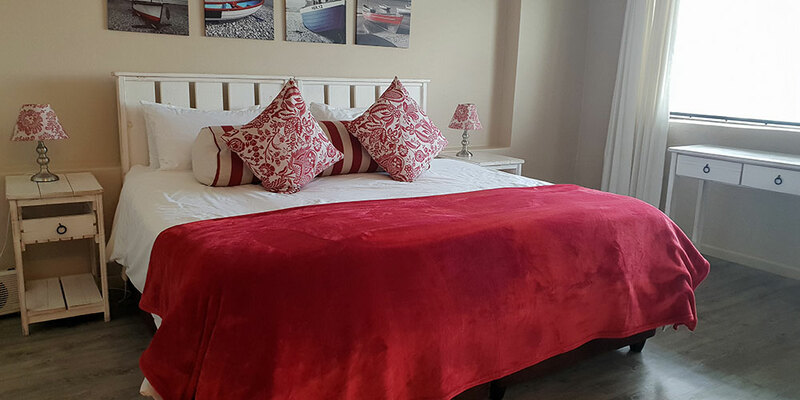 Da Gama is a standard double en-suite room with comfortable lounge area. 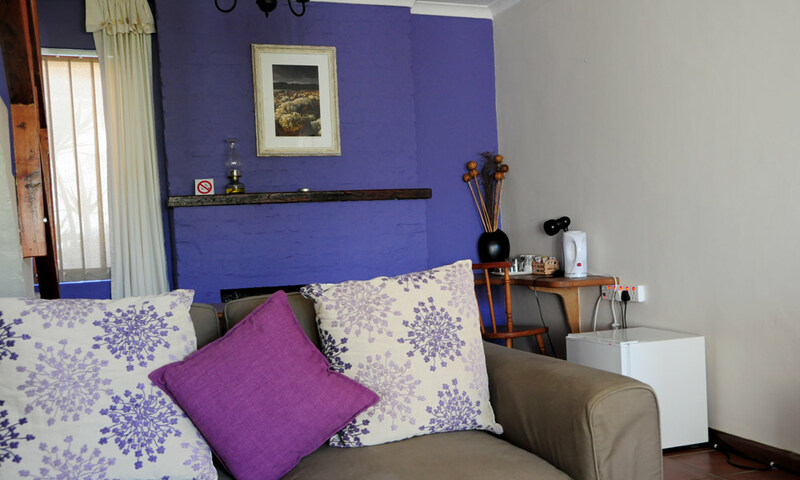 It has been decorated in mute browns and beiges which creates a warm and comfortable environment for you to come home to after a day exploring the area. The room is upstairs and shares a lobby/lounge with 2 other rooms. There is a sea view from the bedroom window. 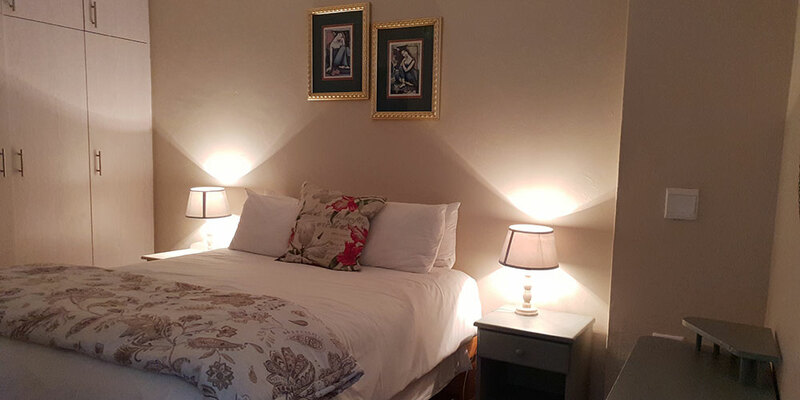 Protea is tucked away in a quiet corner of the lodge and with its cool green colour scheme and protea theme it offers a gentle nurturing atmosphere in which to nestle down after a day of exploring and adventure. A separate dressing room adds to the spaciousness of the room and provides a neat solution to travel bags. The en-suite bathroom has a large shower and vanity and leads off the dressing room. An extra bed can be added if required. The courtyard suites are on the South side of the building away from the bustle of the lodge. The courtyard bohemian garden offers a quiet space to lose yourself in and has been designed with interesting garden décor and plants. As with its quirky designer, it changes periodically to reflect the mood of the environment. Breakfast is included in the rate which you can find on our website. The rooms are priced for the price conscious traveller who is looking for fun experiences and easy in and out stay. **The Just Pure guest toiletries are sourced from a local producer and are 100% natural organic skin and body care products. The "love-ability" glycerine soap and olive oil hand wash are both products produced by disabled local community members as a means to be self-sustainable and raise funds for the Overberg Wheelchair Association.